First International Computer, Inc. (FIC) released two motherboards based on SiS 645 DX (VI35VL) and SiS 651 (VI35L). 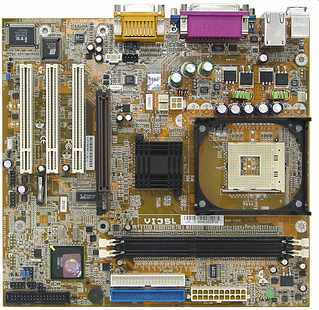 VI35VL micro ATX mobo is designed for Pentium4 with 400/533MHz FSB. 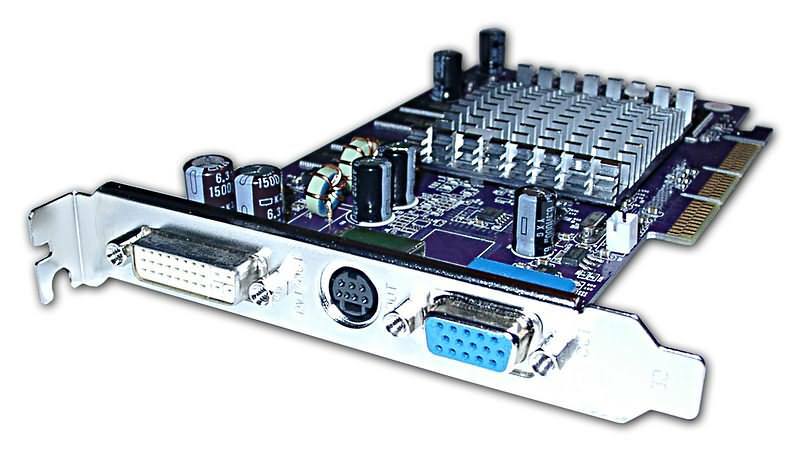 It supports up to 2Gb DDR333; has 1 AGP4X slot, 3 PCI slots alongside the usual int. audio, 10/100 LAN, up to 6 USB2.0 ports, ATA 100/133. 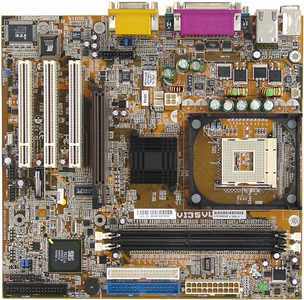 VI35L micro ATX board bases on 400/533MHz FSB chipset. Similar to the previous model it supports 2Gb DDR333; has 1 AGP4X slot, 3 PCI slots, integrated video and sound, similar ports, 10/100 LAN, ATA 100/133. "Have mixed feelings when it comes to this drive. On one hand you have an amazing new technology that allows you backup your data on one or two DVD+R’s quickly. You also have the ability to create movies to play on a stand alone DVD player so you can watch your movies on the big screen. But, with the DVD+R/+RW standard there comes the pitfall of a more expensive media and a lower compatibility than the DVD-R/-RW standard. For this review I was able to purchase DVD+R media but was unable to easily find a DVD+RW disk to use." Intel announced a new CSP technology enabling 5-layer 1.2mm thick chips. At the same time the company announced 13 new products featuring this Ultra-Thin Stacked Chip-Scale Packaging (CSP). In Q3 we also should expect 1mm thick chips, 0.8mm appearing early next year. The new Intel technology is designed for miniature components, especially mobile handsets, etc. 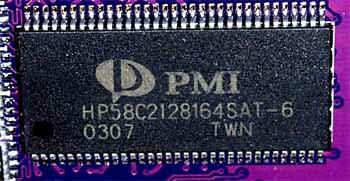 currently Intel Ultra-Thin CSP is used for packaging 256Mbit StrataFlash chips. By the year-end, Intel plans to produce 512Mbit Ultra-Thin CSP, 1Gbit following in 2004. exceot fir Flash, such devices can combine SRAM, PSRAM or LP-SDRAM memory. At the moment Intel controls about 20% of this market. Other players are Mitsubishi Electric, Sharp, Fujitsu, AMD, Samsung Electronics and Toshiba. "Overall, the performance of the drive is not very impressive. With Winbench 99, we saw the drive performing slower than most other drives based on the same platter density and buffer size. Even more disappointing is the fact that there´s little or no advantage with serial ATA over older parallel ATA drives. Perhaps the Barracuda SATA V has not yet fully taken advantage of the serial ATA bandwidth." VIA Technologies announced a new version of its AMD K7 integrated chipset  VIA UniChrome KM400 – that differs from predecessors mainly by DDR400 support. 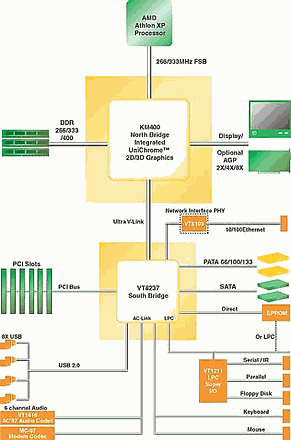 VIA KM400 featuring integrated S3 Graphics UniChrome 2D/3D core with MPEG-2 hardware support will be coupled with VT8237 or VT8235CE Southbridge (8X V-Link, 533Mb/s). 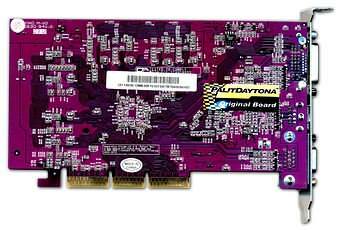 Besides, external AGP8X cards are also supplied. VIA UniChrome KM400 (VIA VT8378) will be packed into 552-pin HSBGA body. Western Digital has again pleased users by releasing a special model of its external FireWire/USB2.0 hard drives – 250Gb in capacity. Similar to the previous 200Gb model, this one features 8Mb cache and 7200rpm speed. 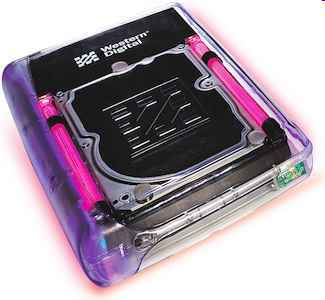 Besides, the drive is encased into a stylish body. According to John Monroe, vice president of Gartner Dataquest, the demand for large-capacity external drives has recently increased, so WD just caught the flow. The novelty will cost about $450, bundle including 1.8m FireWire cable (6-6 pinout), 1.8m USB2.0 cable, AC adapter and manual. According to InfoWorld, Intel might officially announce i875 chipset (Canterwood) next week. So, the company scheduled a conference in Taipei to April 15 to announce the chipset alongside 3GHz Pentium4 with 800MHz FSB. So, 875 will be the first chipset to support 800MHz FSB. The second, Springdale, should be announced in May. Besides 800MHz FSB Springdale will feature 1Gbps Ethernet adapter. It’s interesting that according to some sources, 2.6 and 2.8GHz Pentium4 with 800MHz FSB have already appeared in Tokyo due to connections with an Intel employee. According to market players, traders will start to get rid of DDR266 and DDR333 chips and modules, which would result in inevitable price reduction. So, if you are planning an upgrade, you should wait until next week. Though seeming senseless, marketing and intention to get rid of older memory types play their rather important roles. 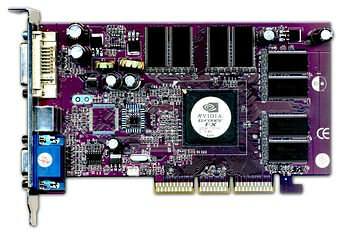 Today it’s about installing 128Mb of memory to GeForce FX 5200, which might not be that compulsory for GF4MX-level cards. And in return one can use slower 5ns chips. But Palit went further, having installed 6ns memory with 166 (333) MHz nominal clock rate. Isn’t this senseless? As you know GF FX 5200 clock speeds are 250/200 (400) MHz! Of course, makers decreased memory clock to 150 (300) MHz. 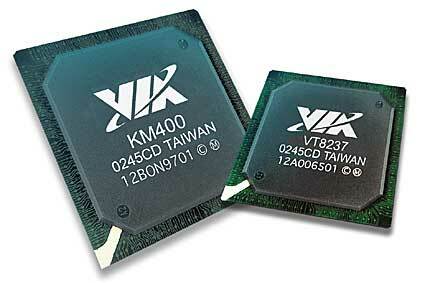 As a result we get not even GF4 MX440, but something like MX420 or MX440SE with very slow memory. But there’s 128Mb! Well... inexperienced users might be tempted, and we hope these cards won’t be expensive.